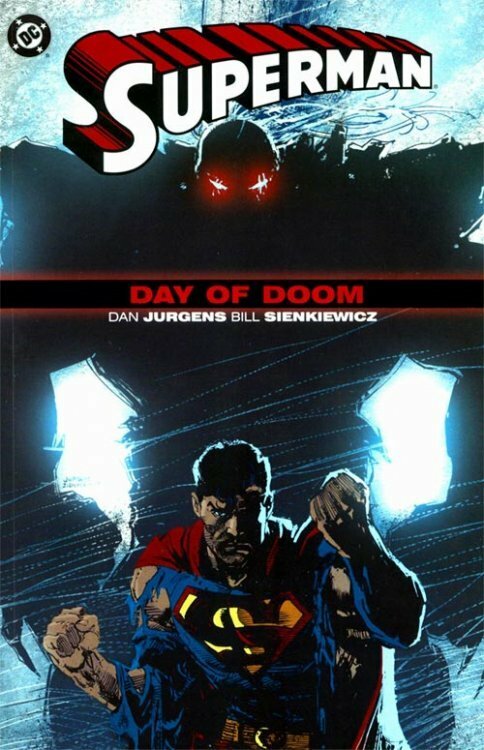 Collects Superman: Day of Doom (2003) #1-4. Written by Dan Jurgens. Art and cover by Dan Jurgens and Bill Sienkiewicz. Collecting the 4-issue miniseries revisiting the behemoth who killed the Man of Steel! On the anniversary of Superman's death, someone is following Doomsday's cross-country path...and murdering people along the way!